The least known town in the Nilgiris, Kotagiri has an old world charm that will leave you feeling nostalgic. 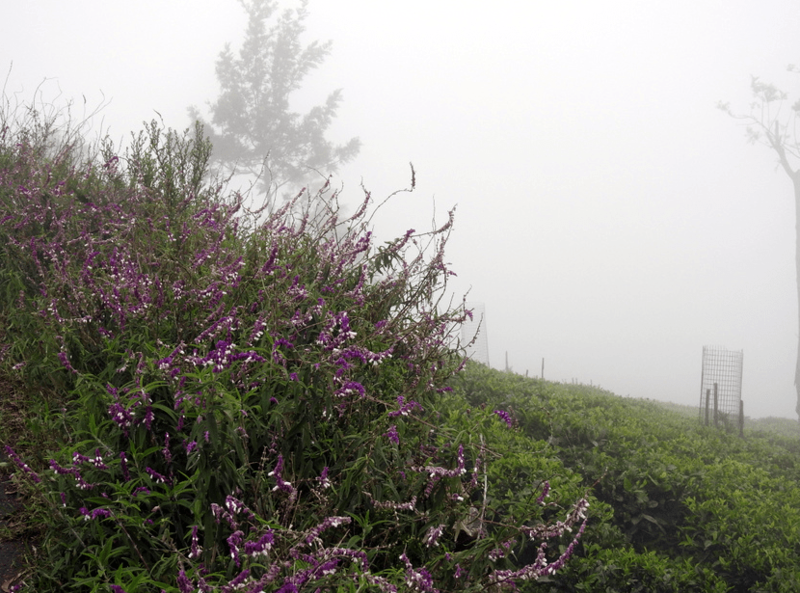 As I was driving to Kotagiri, the Nilgiri Biosphere threw up an unexpected challenge of dense fog. While I was mentally prepared to navigate the ghat road that snakes up the Blue Mountains, the drop in visibility was something that was unexpected. 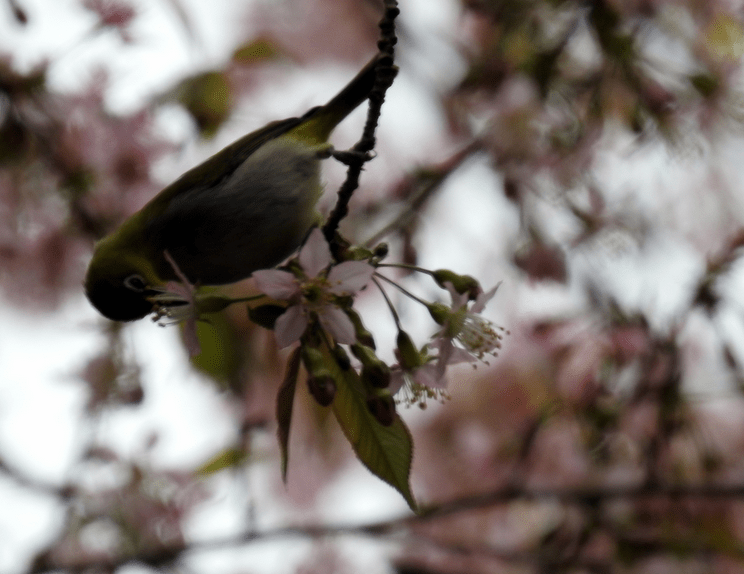 However I did manage to negotiate that bit and found myself stopping at a cherry blossom tree in full bloom inhabited by one of my favourite birds – the Oriental White Eye. After having clicked many pictures at this once again unexpected spot, I reached the hill station that is over 5800 feet above sea level. Surrounded by undulating views of tea estates and the sound of the bird song, Kotagiri is as calm and quiet as you would like a holiday destination to be. However it was my quest to see what a non-commercial side of Niligiris would look like that led me here. 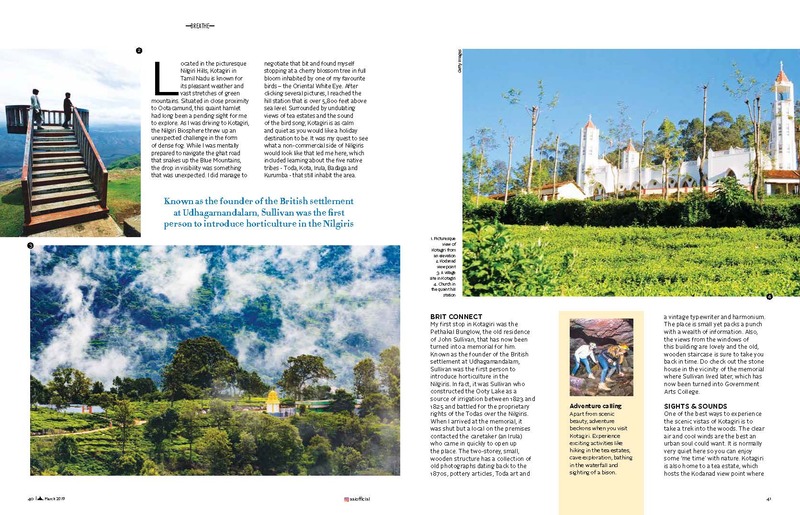 Incidentally, the Nilgiris is also home to five local tribes Toda, Kota, Irula, Badaga and Kurumba who still inhabit the area. My first stop at Kotagiri was at the Pethakal Bunglow, the residence of John Sullivan that now has his Memorial. Known as the founder of The British settlement at Ooty, Sullivan was the first person to introduce horticulture in the Nilgiris. In fact it was he who created the Ooty Lake as a source of irrigation between 1823 and 1825 and batted for the rights of the Todas by stating that they had proprietary rights over the Nilgiris. When I arrived at the memorial, it was shut but a local on the premises contacted the caretaker (who was an Irula) who came in quickly to open up the place. The two stories small wooden structure has a collection of old photographs dating back to the 1870’s, pottery, Toda art and a vintage typewriter and harmonium. The place is small yet packs a punch with a wealth of information. Also the views from the windows of this building are lovely and the old wooden staircase is sure to take you back in time. 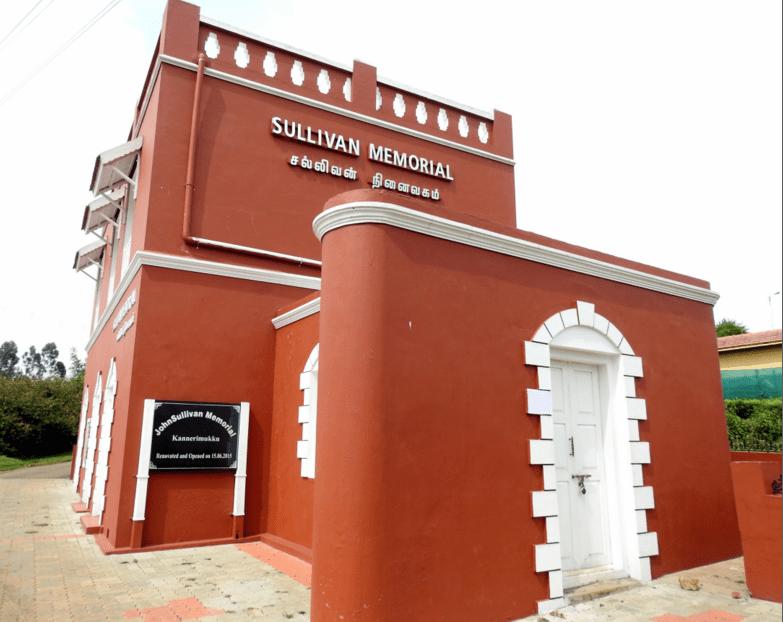 Do check out the stone house in the vicinity of the memorial that was where Sullivan lived later and is now the Government Arts College. One of the best way to experience the scenic vistas of Kotagiri is to trek in the woods. The clear air and cool winds are the best an urban soul could want after all. It is normally very quiet here so you can enjoy ‘me time’ with nature. Kotagiri is also home to Late Tamil Nadu Chief Minister Jayalalitha’s tea estate and has the Kodanad view point is the place from where you can soak in the beauty of the Nilgiris Biosphere. Surrounded by Blue Mountains are lush tea plantations, varied flora and fauna and natural vistas that will make you stare endlessly. Unless the weather is foggy, you can enjoy uninterrupted views of the stunning landscape that is easily one of the best things to do when you are here. The views can be enjoyed from both upper and lower decks and the sunset here is quite magnificent too. Keep an eye out for the resident bird – the pied bushchat that is a tiny black bird that flits between the tea shrubs. Continue further on to see the majestic double cascade Catherine waterfall that is more like a viewpoint to spot them. A small walk through a tea estate will get you a view – the falls are quite far off but still it makes for a stunning visual – that will stay with you much after you have left the place. 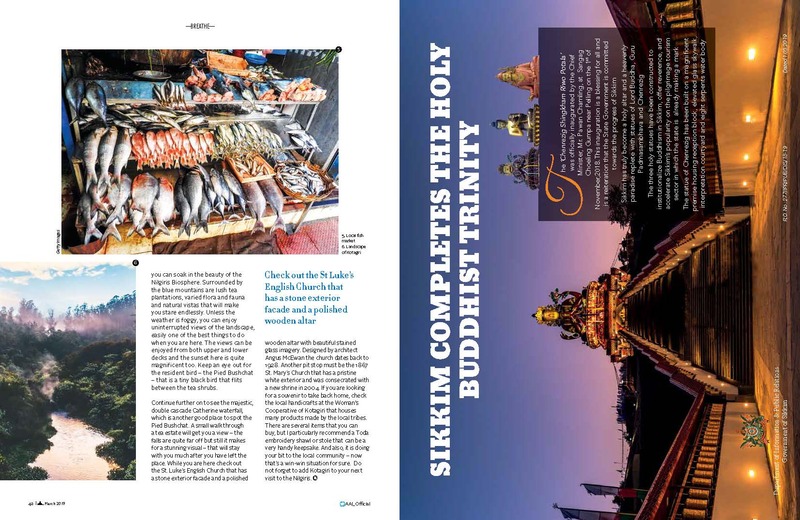 While you are here check out the St Luke’s English Church that has a stone exterior facade and a polished wooden altar with beautiful stained glass imagery. Designed by architect Angus McEwan the church dates back to 1928. Another pit stop must be at the 1867 St Mary’s Church that has a pristine white exterior and was consecrated with a new shrine in 2004. 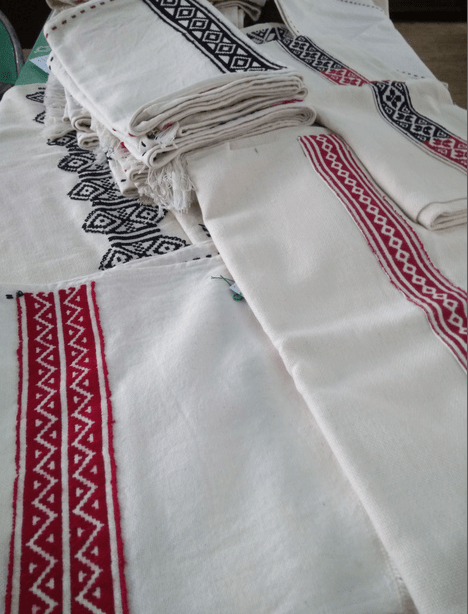 And if you looking for a souvenir to take back home, check the local handicrafts at the Woman’s Cooperative of Kotagiri that houses many products hand made by the local tribes. There are several items that you can buy but I recommend a Toda embroidery shawl or stole that can be a very handy keepsake. And also, it is doing your bit to the local community – now that’s a win-win situation for sure. 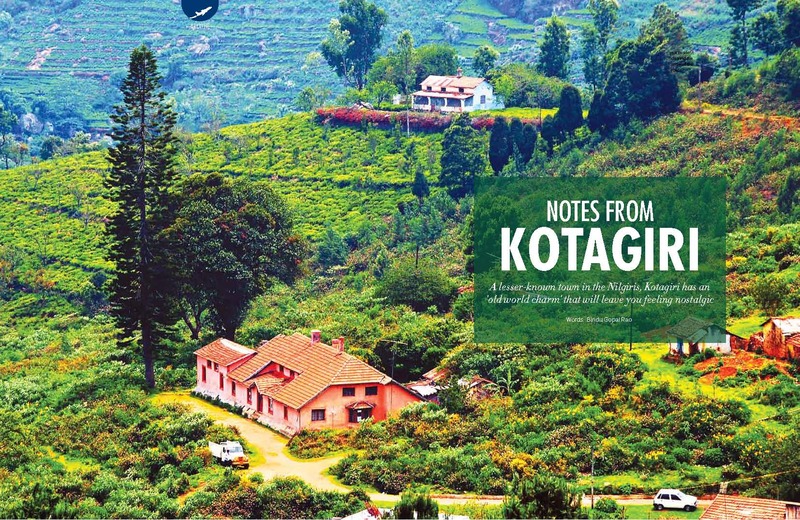 Do not forget to add Kotagiri to your next visit to the Nilgiris.